The inspiration came from pics we came across somewhere on the Internet. The first version is a bit ugly, but the technology will be improved further. To make one yourself, you'll first need an apple. Remove its core and plug a long carrot into the hole. 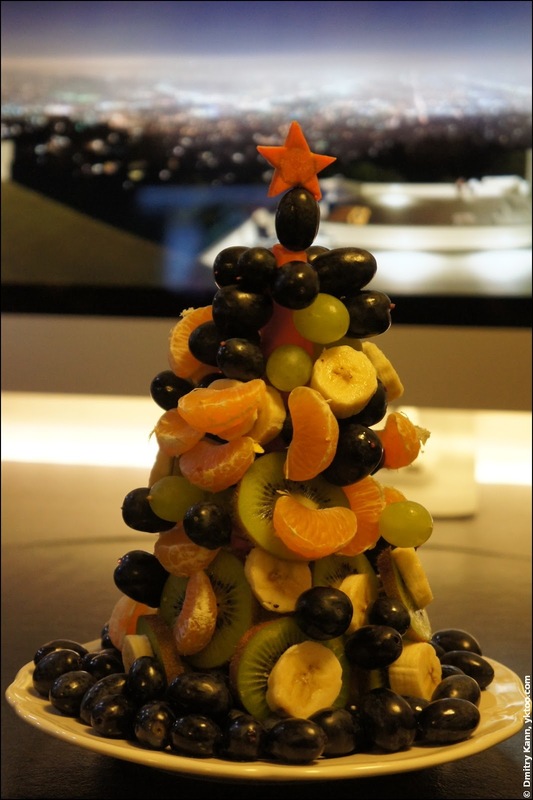 Then stick a number of toothpicks into the carot, and hang on them grapes, banana and kiwi slices etc. Finally, crown the tree with a star cut from the same carrot.